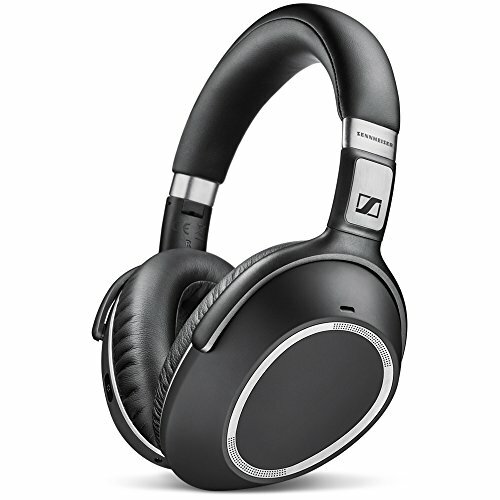 Sennheiser’s premium headset tailored specifically for the discerning business traveller. This stylish, compact and foldable headset delivers exceptional sound quality, class-leading adaptive noise cancellation and crystal clear speech clarity. Ergonomically engineered for wearing comfort and intuitive control, this headset upgrades the on-the-go audio experience. In an often frantic and stressful traveller’s world, the PXC 550 Wireless puts the listener in control of their sensory environment - it’s what we call 'upgrading to First Class'. Triple microphone array delivers business class communications with exceptional vocal clarity..Sennheiser sound signature quality with selective sound modes to enhance the listening experience.